I have seen Ximena Sariñana what seems to be about a million times (her song "Un Error", was my go-to-break-up-song. I would cry while singing along to all the tracks on the album Mediocre.) I was lucky enough to have interviewed her once before when she performed at the Red Devil Lounge a few years back. 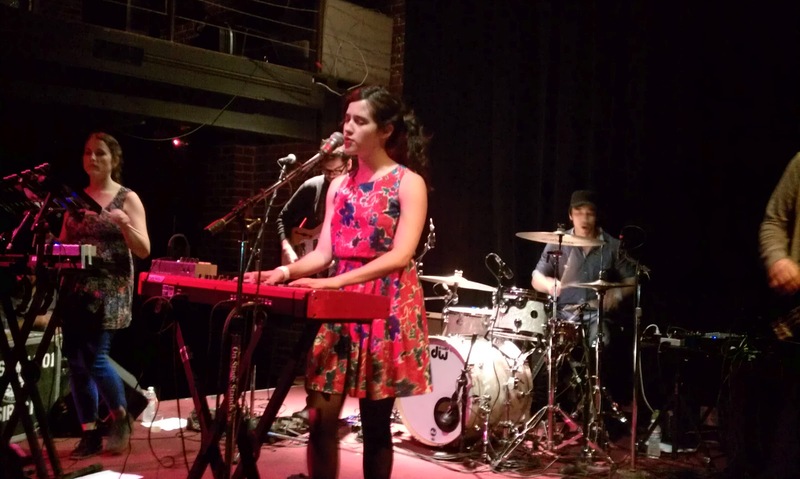 Ever since that performance, Ximena has been busy touring all over the United States. Fresh off her performance at Coachella (Weekend One), she made her way up to the Bay to perform at The New Parish in Oakland, CA. Although the show took place on a Sunday night, that did not stop her loyal fans from coming to see her perform. 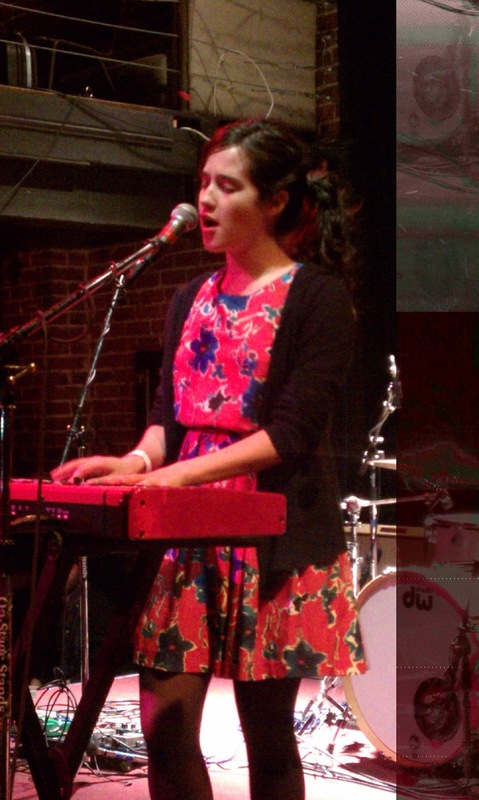 She had an opening act, Diana Gameros, a soulful-Spanish-flare singer from Juarez, Mexico. She was on stage with her guitar and a trumpet player. 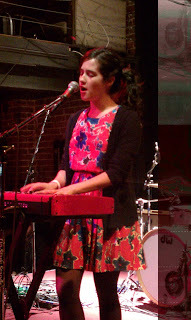 I could not help but to compare her voice to that of Julieta Venegas. Diana addressed the crowd and one of the songs from her set was one called "SB1070" – a song that she wrote in protest of the tough immigration law that was implemented in Arizona. When Ximena came on stage, the fans were ready to sing along, not only to her emotional break-up songs, but also songs from her English debut album Ximena Sariñana. She was wearing the cutest outfit- a flowy floral-print dress, accessorized with tights and combat boots. She addressed the crowd in both English and Spanish, she has slowly opened up more to her fans and is less shy than the first time I saw her perform - towards the end of her performance, she even gave a fan a copy of her set-list. Ximena performed a lot of the songs from her English album such as "Different", "Shine Down", "Echo Park", "The Bid" and of course she also performed fan favorites like "Mediocre", "Las Huellas" "Normal" and "La Tina". Ximena is paving her way to becoming a phenomenal artist, her sweet voice, relatable lyrics and humbleness while addressing the audience is quite refreshing. She is heading back to Coachella for (Weekend Two), so if you are heading out to the festival, take the time to check out her set.